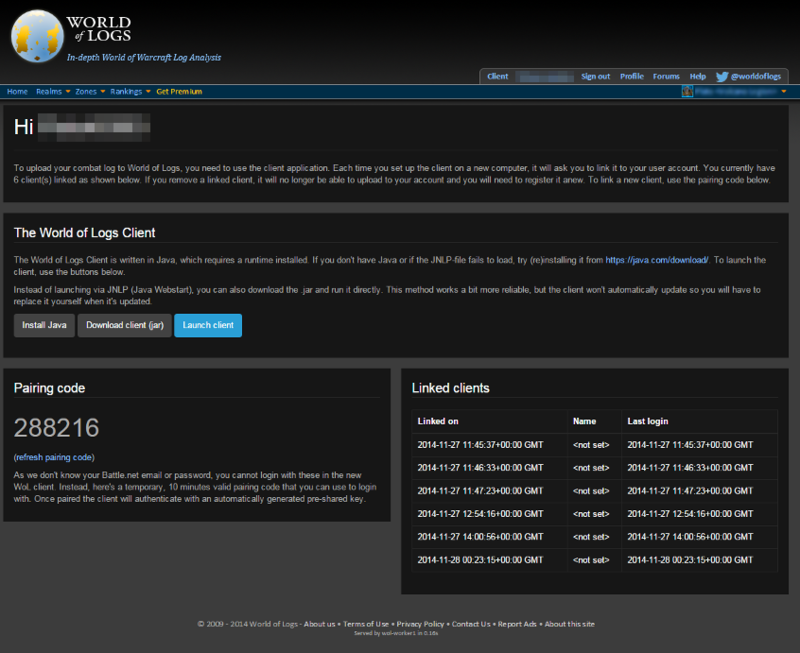 How to launch the WoL client? 2. Check if the latest version of java is installed. If Java is not installed, click on “Install Java. 3. Click on “Launch client” for download. Open the file and the WoL client will start up. 4. Fill in the pairing code. Use the most recent pairing code from the client page (click on refresh pairing code for a new one). 5. Once the pairing is succesful, your characters from your Battle.net account will show up in your WoL client. 7. Before entering a dungeon or raid type in /combatlog in the chat. 8. If you keep forgetting it, we recommend you to install the add-on "Autolog". It will automatically turn it on for you. 9. 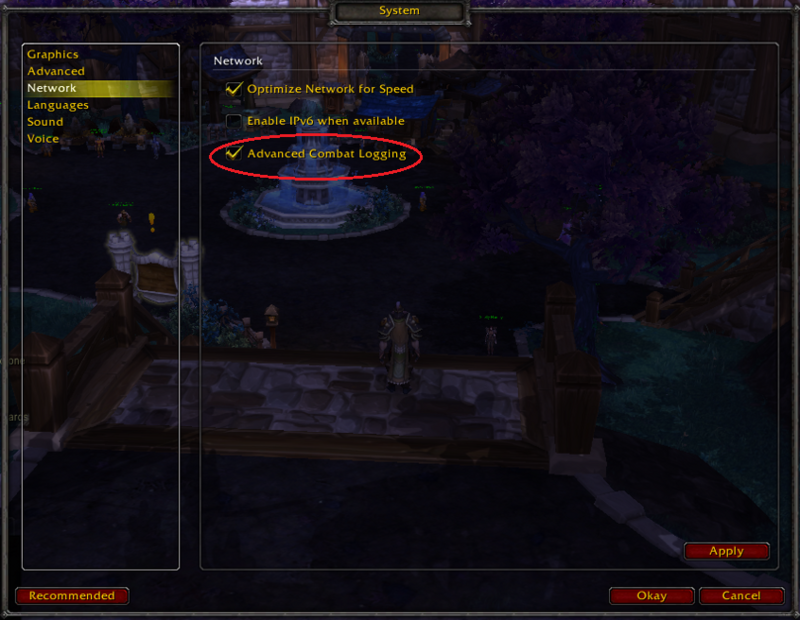 Press Esc to open the game menu, go to system, network and select advanced combat logging. 11. 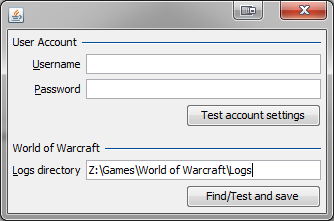 Look up your WoWcombatlog.txt file on your computer, copy the link in the logs directory in the WoL client. Click Find/Test and save. Start a live report session (real-time analysis). 13. Select the live report session, for real time analysis. Select sync now for live reporting. 14. Once you engage in combat, the live reporter will automatically update it to our servers. Select open report to view the live combat log. 15. You can also choose to upload your combat log after you have finished your raid. 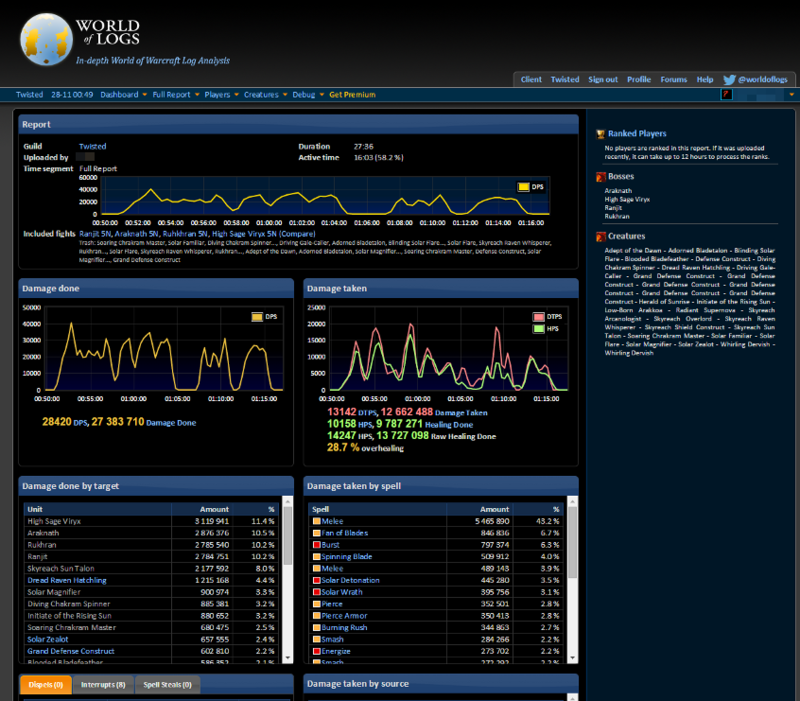 Click on “Open the WoW combat log”. 16. You can enter a comment in the comment text field, click and drag around in the range selection to upload only a part of the file in the Acitivity & Range Selection. The upload button sends it to the server and opens the report in a new window. Note for the beta: there is no upload progress display yet, but if you don't see a dialog with an error, it's still busy. Please be patient. Don't be alarmed if you see an empty form - if there aren't any errors, you're good to go. Just start /combatlog and raid. Once in a while, when around ~48k bytes of data has been gathered, WoW flushes it to disk and the client will be able to read and upload it. You can click "Sync Now" to manually upload the data to the server, "Open Report" opens the report in a new browser window.